Sheherazade is your one stop destination for authentic,stunning and functional accessories to enrich your home decor.We carry Moroccan tea pots , tea glasses,perfume bottles, candle holders,napkin and key holders; brass,silver and copper trays; Hand of Fatima(Khamssa) in silver and brass;mosaic wood boxes; jars and other decorative objects. Our Indian handcrafts for home are magnificent,including bone inlaid Trays and Jewelry Boxes, photo frames and more.Turkish Towels and vareity oftraditional Hammam Spa accessories are functional and unique. 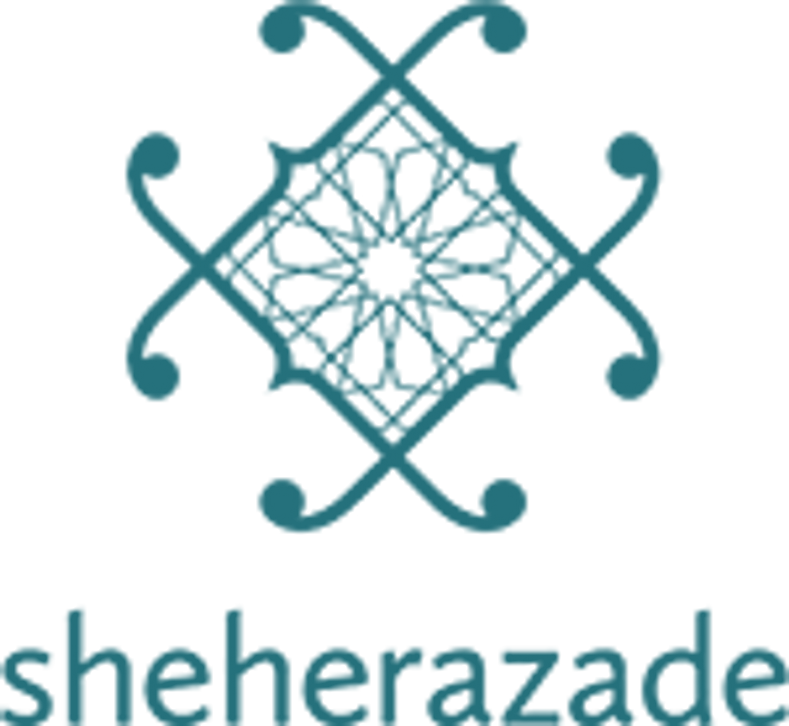 Sheherazade's treasures include tremendous variety of alluring home objects- for yourself or a gift. take an authentic piece of Morocco and many more away with you. Moroccan Silver Metal Tray 36"
This ornate brass Indian tray has a silver finish. Can be used for serving, as décor or on top of a pouf to create an impromptu table. Made in India. Size : 30"
Moroccan Silver Metal Tray 27"
This ornate brass Indian tray has a silver finish. Can be used for serving, as décor or on top of a pouf to create an impromptu table. Made in India. Size : 27"
Made in India from recycled wood, these rustic, hand-painted candleholders feature a bright green hue and can add a pop of color to any dining table or mantle. Inspired by the beautiful Ikat textile we’ve come across in Istanbul, this collection of tray was born. Coated and grazed metal is highly durable and easy to clean. Can be used simply as a serving tray or bathroom, desk tray. Size: 10.5" x 16.5"
Made in India from recycled wood, these rustic, hand-painted candleholders feature a bright blue hue and can add a pop of color to any dining table or mantle. Beautifully hand carved lotus dish, sculpted from fine white marble. The marble plates are not polished, which gives a very raw and organic texture. Size : 13" x 13" x 2"H Out of Stock! This ornate brass Moroccan tray has a Gold finish. Can be used for serving, as décor or on top of a pouf to create an impromptu table. Made in Morocco. Size: 21"
Add elegance to any table setting or mantle with this silver candleholder set handmade in India. This ornate brass Indian tray has a silver finish. Can be used for serving, as décor or on top of a pouf to create an impromptu table. Made in India. Size : 19"
Perfect for serving tea and wine or holding tealight candles, this set of Moroccan glasses features a bright orange shade and contemporary design detail. Bring a touch of Moroccan tradition home with this set of tea glasses. Featuring a warm purple hue and contemporary design, these glasses can be used to serve mint tea or wine, and are also an unconventional holder for tealight candles. Bring a touch of Moroccan tradition home with this set of tea glasses. Featuring a warm red hue and contemporary design, these glasses can be used to serve mint tea or wine, and are also an unconventional holder for tealight candles. Bring a touch of Moroccan tradition home with this set of tea glasses. Featuring a warm Turqoise hue and contemporary design, these glasses can be used to serve mint tea or wine, and are also an unconventional holder for tealight candles. Perfect for serving tea and wine or holding tealight candles, this set of Moroccan glasses features a bright pink shade and contemporary design detail. Out of Stock! This original piece by Moroccan artist Mohamed Balili reflects his modernist style, favoring of warm colors and fascination with everyday scenes. Water Paint Size : 46" x 58"